Another day, another flowery-sounding color variant. 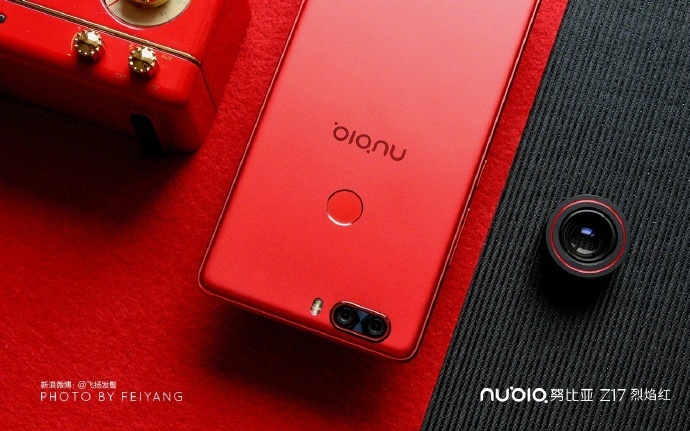 The Nubia Z17 went on sale weeks ago but lovers of red finally have something to look forward to, as the company gets set to release a Flame Red color variant on August 1. The Nubia Z17 was released back in early June, with the ZTE flagship being the first Android device to hit the market with 8GB of RAM. Chinese OEMs have the annoying habit of using overly-elaborate terms to describe their color options—Agate Red, Moonlight Blue, Dinosaur Grey—and Nubia are doing something similar. Theirs is a lot more subdued, though, as "Flame Red" isn't quite as pretentious as a few others. The Nubia Z17 launched in Black, Blue, Gold, Black Gold, and Flame Red but the Blue and Flame Red variants have been off the market. Until now, at least, as the Flame Red variant will finally go on sale, starting August 1. The Z17 sports a 5.5" FHD display, with up to 8GB of RAM, and 128GB of storage. It's powered by a Snapdragon 835 and runs on Nubia's own skin, the Nubia UI 5.0, which is based on Android 7.1.1 Nougat. You can find a more detailed rundown of the Z17 here.